You know the saying by the ancient Greek physician Hippocrates, ‘Let food be thy medicine’? We are pretty sure he was talking about this turmeric latte – or at the very least, something very similar. Turmeric is one of many potent spices treasured by Ayurvedic doctors, and for a good reason. Being the subject of over 7000 peer-reviewed scientific articles, turmeric shows ancient Indian medicine had it right with their bright orange root. Not only is it a powerful medicine, but is also a tasty addition to a range of meals, smoothies, green juices and various other drinks. Every kitchen should have a supply of fresh or powdered turmeric. And if your health takes a nosedive, grab a bottle of curcumin, the active ingredient found in turmeric. 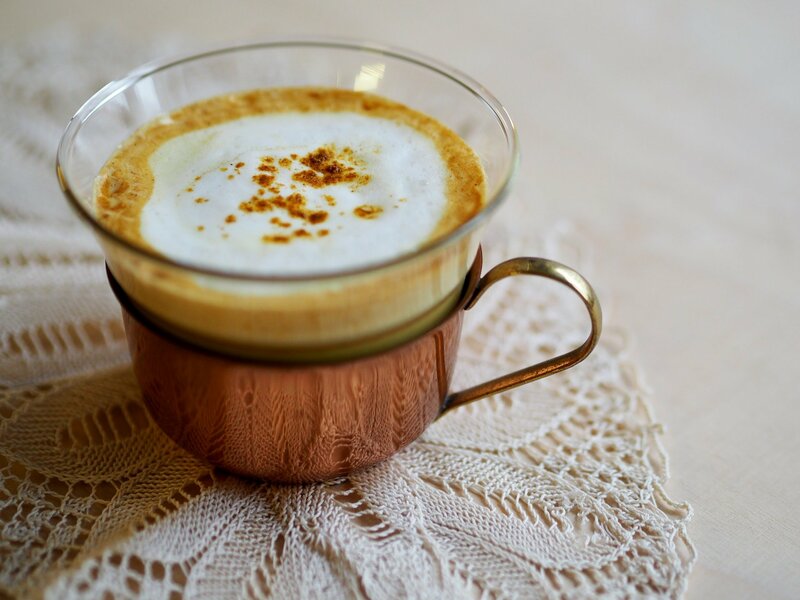 With this delicious turmeric latte, you are getting all the benefits of this powerful root, in a drink that makes a great swap for your daily cup o’ joe. 1. Put the turmeric in a small saucepan and add the milk, ginger and cinnamon, then bring to the boil slowly using the lowest heat setting. 2. Put the hot milk mixture into a food processor or blender, add the nut butter and maple syrup, and blend until hte milk is foamy and vibrant golden in color. 3. Pour into tow mugs and serve. 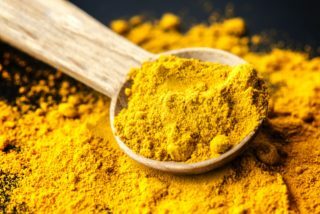 What are the medical powers of turmeric? It is a potent anti-inflammatory ingredient, can help to fight colds and flu’s, acts as an anti-depressant, and can work to get you healthier skin.